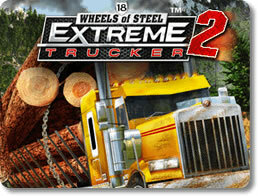 Games that seek to mimic real life truck driving in some way. 18 Wheels of Steel - Haulin (pc) - Excellent 18 wheel truck driving sim! 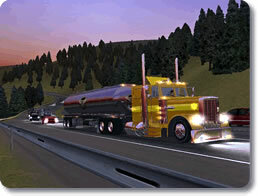 18 Wheels of Steel Convoy (pc) - Gear up and heed the call of the open road! 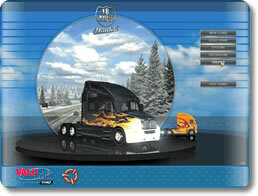 18 Wheels of Steel Extreme Trucker 2 (pc) - Put the pedal to the metal in this globe-trotting expedition! 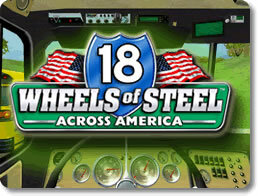 18 Wheels of Steel: Across America (pc) - Have an adventure driving huge trucks across America! 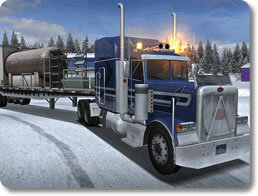 18 Wheels of Steel: American Long Haul (pc) - Own a trucking business and dominate the roadways! 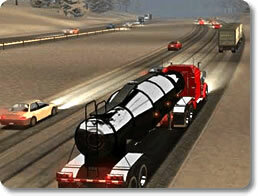 18 Wheels of Steel: Extreme Trucker (pc) - Face the most extreme trucking routes! 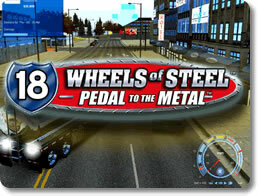 18 Wheels of Steel: Pedal to the Metal (pc) - Deliver goods to cities across all of North America! 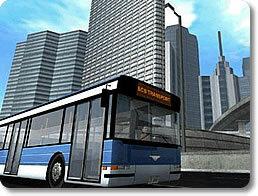 Bus Driver (pc) - Transport passengers around an attractive and realistic city! Euro Truck Simulator (pc) - Highly realistic trucks and tons of jobs in scenic Europe.